Perry Ellis (1940-1986) was regarded as an outstanding designer of American sportswear in the 1970s and 1980s. In order to appreciate the far-reaching allure of his best-known invention, a deceptively simple homemade-looking sweater, one should understand the potent appeal that American sportswear held in the 1970s. Separates dressing at that time meant individual style-a radically new approach after more than a century of one dominant silhouette following another. And individual style was particularly relevant at a time when gender roles were being tossed in the air. What Perry Ellis did best was take elements of classic American style-stadium coats, tweed jackets, and culottes-and adapt them to suit changing times. Perry Ellis was born on 3 March 1940. He grew up in Churchland, a small suburb of the Virginia coastal town of Portsmouth. Ellis earned a B.A. in business from the College of William and Mary, and went on to acquire a master's degree in retailing from New York University. He then went to work in Richmond at Miller and Rhoads, a Virginia department store that was similar in size and quality to such New York emporia as B. Altman or Bonwit Teller. During Ellis's tenure with Miller and Rhoads, his department, junior sportswear, had the highest sales in the store. At Miller and Rhoads, Ellis worked closely with manufacturers, making design suggestions as he saw fit. His suggestions sold well, leading a favorite supplier, John Meyer of Norwich, to offer Ellis a job in 1968 as design director. This firm's preppy style was aimed at high school and college students, offering coordinated ensembles of cotton print blouses with Peter Pan collars, cable-knit cardigans, and corduroy skirts. In 1974 Ellis moved to Manhattan Industries, where he became vice president and merchandising manager for Vera Sportswear. Vera Neumann was an artist whose popular scarves and outfits were based on her signed paintings. Ellis was intrigued by the challenge of working with her designs, and came up with styles that attracted considerable positive attention in the fashion press. In 1975 he debuted his own line for Manhattan Industries, which was known as Perry Ellis for Portfolio. He then launched his own label, Perry Ellis Sportswear, in 1978. Acclaim was instant. A menswear line and various licensing arrangements soon followed, as did a number of professional honors. After winning two Coty awards each for women's wear and men's wear, Ellis was voted into the Coty Hall of Fame in 1981. He also received awards from the Council of Fashion Designers of America (CFDA) for women's wear in 1981 and men's wear in 1982. The launch of Perry Ellis Sportswear for the fall-winter season of 1978 was memorable. The show opened with a group of Princeton University cheerleaders wearing little pleated skirts and sweaters emblazoned with a large "P." This collection firmly established what became the signature Perry Ellis look-what he coined the slouch look. It consisted of separates based on pieces that could work in different combinations: oversize jackets, thick yarn sweaters, lots of layers, ribbed socks worn rumpled like leg warmers, men's Oxford shoes for women. While the riffs on scale and silhouette were sophisticated, the casual fabrics seemed fresh. Although the references might have been collegiate, these were clothes for adults who were confident enough to thumb their noses at the rigid styles associated with dressing for success. Further notable collections followed. The fall 1981 collection featured a mix of challis prints in deep jewel tones with duck and pheasant motifs, with all scales of prints and colors worn together in a single ensemble. Ellis's spring 1982 collection coincided with the release of the film Chariots of Fire, and featured relaxed flapper lines in pale linens. The fall-winter 1984 collection was an homage to French painter Sonia Delauney-bold geometric patterns in deep rich colors for men and women. Much has been made of Ellis's perfectionism. 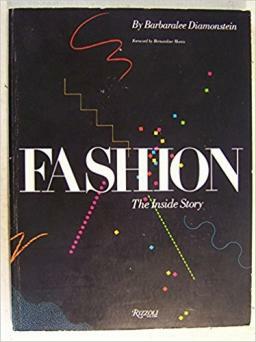 What seemed mandatory for the visually oriented person in the early twenty-first century, such as insisting on a specific look for everything from the company's logo and store interiors to bouquets of flowers sent to fashion editors and the postage stamps used on invitations to shows, was noteworthy in the late 1970s for a Seventh Avenue designer-especially one working in the less glamorous area of sportswear. Ellis's perfectionism extended to every part of his collection; the models' hair and makeup had to look natural, and nail polish was forbidden. Manolo Blahnik designed shoes for Perry Ellis, usually ghillies, ankle boots, or spectator pumps in an Edwardian or prairie mood. Patricia Underwood designed strikingly simple hats, and Barry Kieselstein-Cord made jewelry, belts, and hair ornaments in precious metals. At a time when fashion designers were becoming glamorous celebrities, Perry Ellis remained somewhat of an enigma. He was startlingly handsome, yet dressed in an antifashion uniform consisting of khaki pants, a dress shirt with the cuffs rolled up, and Topsider shoes left over from his college fraternity days. Famously shy, he exuded charisma. Although heralded as an overnight sensation, he had definitely paid his dues on the way up. A household name, he kept his personal life private. One minute he was at the top of his game, or so it seemed, and next came the shocking news of his death. After an appallingly rapid decline, witnessed silently by his staff, friends, and the fashion industry, he died of AIDS on 30 May 1986. After Ellis's death, his long-time assistants Patricia Pastor and Jed Krascella designed for the company. The firm then hired a rising star, Marc Jacobs, in 1988. As a teenager, Jacobs had asked Perry Ellis for career advice, and was told to go to Parsons School of Design, where he won the Perry Ellis Golden Thimble Award in 1984. At first Perry Ellis and Marc Jacobs seemed like a good combination. Jacobs's stretch gingham frocks, cheerful colors, and prints suited the mood of the firm and the late 1980s. Then came the infamous grunge collection, shown in 1993, which appalled the press and potential buyers alike. However, like most controversial fashions, the grunge look of layered vintage military surplus pieces was merely ahead of its time. After Jacobs left the company, Perry Ellis International decided against having a star designer, choosing for a time to have a team of people developing the brand. In 2003 Patrick Robinson was hired as designer. His fall-winter 2004 collection, based in part on a vintage Perry Ellis scarf found for sale on an Internet site, received good reviews. A particularly American touch from Robinson's spring 2004 collection-the models wore Converse sneakers-paid homage to both Perry Ellis and Marc Jacobs. See also Manolo Blahnik; Dress for Success; Grunge; Seventh Avenue; Sportswear. Brubach, Holly. "Camelot." New Yorker (25 July 1988): 83-86. Diamonstein-Spielvogel, Barbaralee. Fashion: The Inside Story. New York: Rizzoli International, 1985. Milbank, Caroline Rennolds. New York Fashion: The Evolution of American Style. New York: Harry N. Abrams, Inc., 1989. Moor, Jonathan. Perry Ellis: A Biography. New York: St. Martin's Press, 1988.